Two more artworks added to Chuck’s St. Agnes Cemetery art show! My new art show, St. Agnes Cemetery and Other Beautiful Sights, is at St. Agnes Cemetery’s “Living Room” art center now, and runs until June 30. A reception will be held on Friday, May 12, and I hope all of you can attend. Now with that in mind, as the art show was set up, I received word that there was room in the gallery for two more art pieces. I’ll drop those off tomorrow. 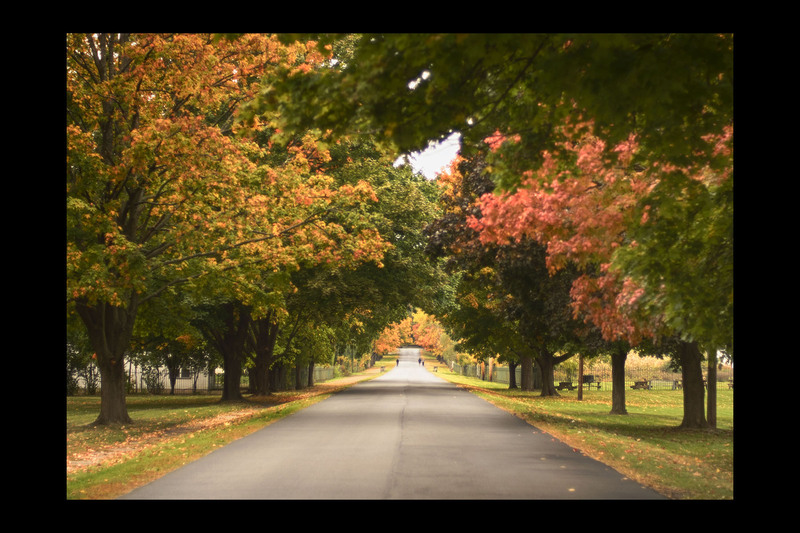 One of them features a comparison between a 1900’s postcard of the entranceway to St. Agnes Cemetery – and a recent photograph that captures the fall foliage one sees upon arriving at the cemetery grounds. I believe my photo was taken at the same spot as the postcard artwork. You will see. You will like. St. Agnes Cemetery walkway. Nikon Df camera, Nikkor 50mm f/1.8 lens. Photo (c) Chuck Miller, all rights reserved. The other photo I’m adding to the show … is this one. 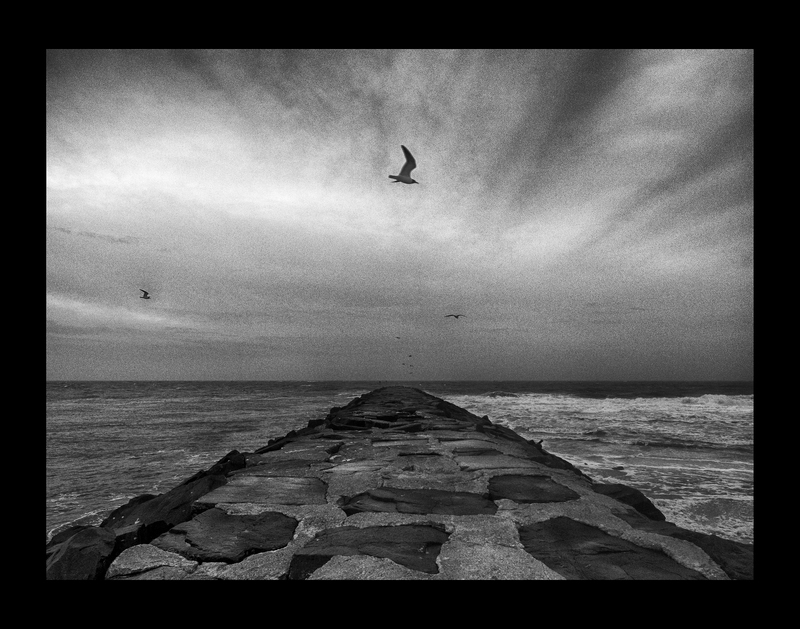 Stone, Saltwater, Surf and Seagulls. Nikon Df camera, Irix 15mm f/2.4 lens. Photo (c) Chuck Miller, all rights reserved. Yes. After much deliberation and determination, I decided to enter Stone, Saltwater, Surf and Seagulls into the gallery show. This picture has received plenty of love on my social media outlets, including several shares asnd applause. And considering it’s a “beautiful sight,” of course I’m putting a copy of it in the show. St. Agnes Cemetery and Other Beautiful Sights runs from now to June 30, at St. Agnes Cemetery’s “Living Room” art gallery and conference center. Please come and join me on Friday, May 12, for the opening night gala, which will run from 5:30pm to 8:00 pm. Hope to see you there! K-Chuck Radio: Wake up, you sleeping lion! 5 replies to Two more artworks added to Chuck’s St. Agnes Cemetery art show! I’ll see you Friday night. Can’t wait to see everything in person.